Trips to the pool, backyard playdates, and picnics in the park are just a few of many summer excursions you can make with your baby! Spending time outside is good for you and your child, as long as your little one stays cool and comfortable. 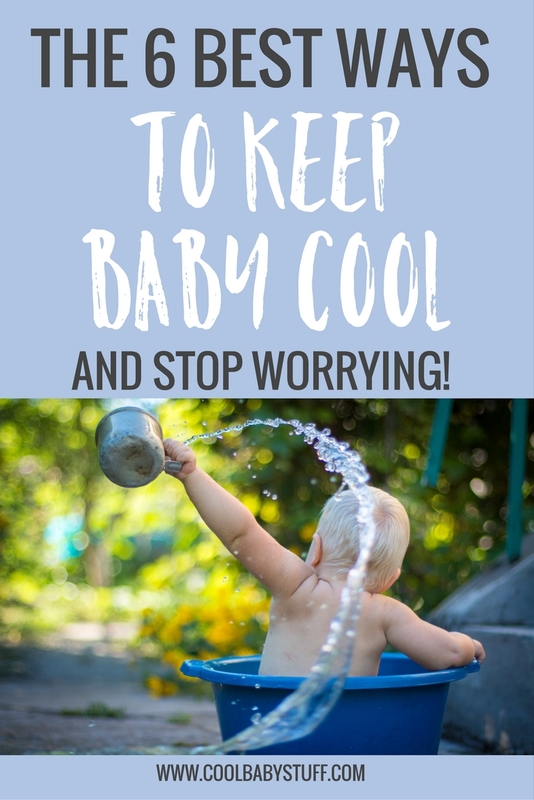 Take advantage of the warm weather and keep baby cool in the summer with these tips. To beat the summer heat, always dress your baby in lightweight, loose-fitting garments. Natural fibers like cotton are breathable and absorb perspiration better than synthetic fabrics. Dark fabrics absorbs sunlight and heat, so if you are going outdoors with your baby, make sure to dress them in light colors. 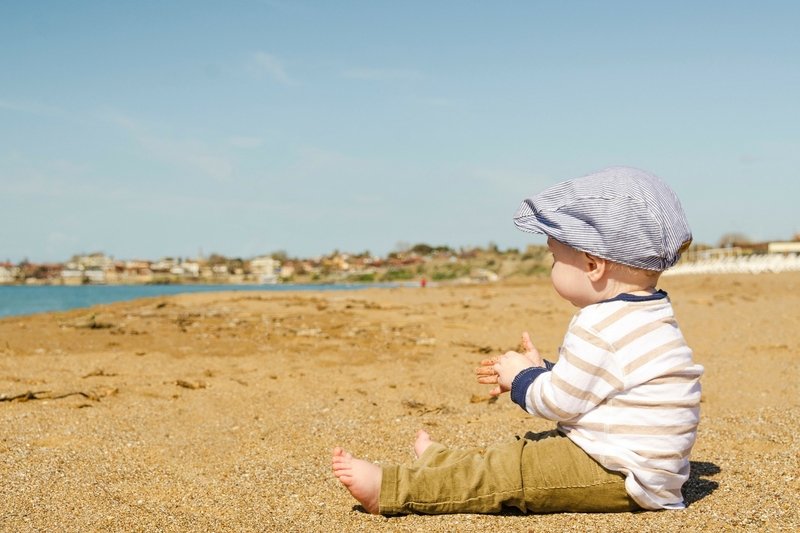 Long pants, long sleeves, and wide-brimmed hats are also musts to shield your infant’s skin from the sun. Be especially careful on gray days as harmful UV rays can penetrate the clouds. Sunglasses for your little one are always a good idea; they offer protection from the sun and reduce glare. Look for labels indicating that the lenses block at least 99 percent of ultraviolet (UVA and UVB) radiation. If you’re also worried about bugs, check out this article for ideas to protect your baby from bugs this summer! Perspiration, skin that’s warm to your touch, rapid breathing, a flushed face, and restlessness are all warning signs that your baby may be dehydrated. Infants under 6 months should not drink water, so replace lost liquids with extra formula or breastmilk. In the summer, babies should drink at least 50 percent more fluids than they usually do. Infants under 6 months have delicate, thin skin. If you are going to be in the sun with your baby, make sure they are wearing sunscreen! The American Academy of Pediatrics says it’s safe to apply minimal amounts of sunscreen to a baby’s exposed skin, including the face. For babies over the 6 month mark, use sunblock more liberally and more often. Opt for a waterproof sunscreen designed for kids, with a sun protection factor (SPF) of at least 15. Apply it under clothing, as well. Reapply every two hours, or whenever your child gets wet or sweaty. Infants don’t perspire effectively and, therefore, become overheated much quicker than adults. Never leave your baby unattended in a hot room or a parked car. Even a few minutes can cause your baby’s temperature to spike. If you use a fan, make sure not to point it directly towards your child but use it to keep the air circulating through the room. According to dermatologists, the sun’s rays are most harmful between 10 a.m. and 2 p.m. Try to plan trips to the pool, backyard playdates, and picnics in the park before of after this peak period. When you do spend time outside, seek out shade! Look for a protected spot, such as under a tree, a canopy, or an umbrella. Consider investing in a tent made with fabric treated to block the sun and see-through sides for proper ventilation. The confining space of carriers and babybjörns combined with your body heat can make your infant hot and agitated in a matter of minutes. For the summer, look for carriers made of lightweight and breathable fabrics like nylon. If your child is perspiring or looks flushed, remove them from the carrier. In the age of screens and social networks, it’s important to encourage a love of the outdoors in your baby. 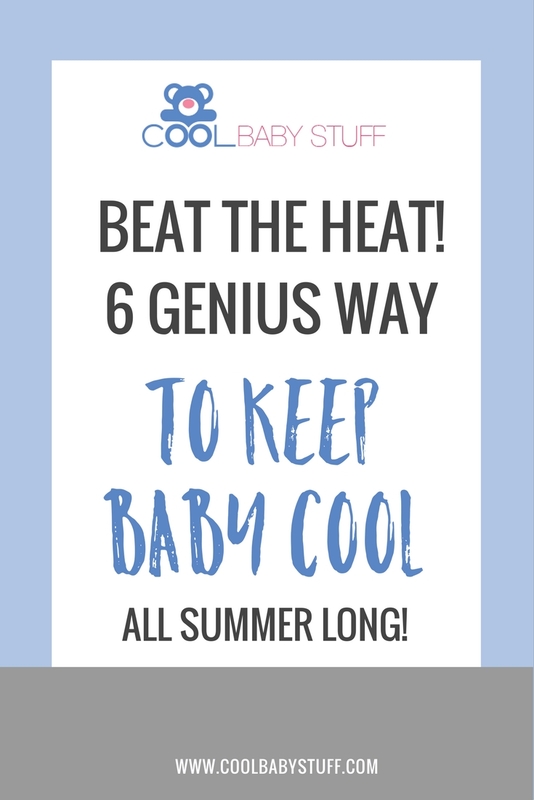 Just make sure your baby doesn’t overheat or dehydrate in the process!